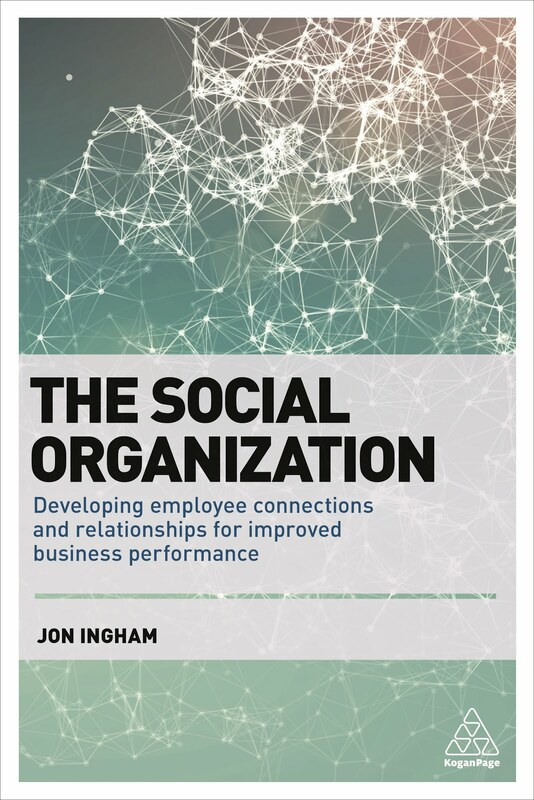 I’ve been listening to Francois Gossieaux and Ed Moran talking about their new book, The Hyper-Social Organisation (which I’ve not read as yet). This is another of those books which made by heart skip a beat when I found out about it (“oh no, someone’s written my book!”). But no, once again, they haven’t. It sounds like a good book though – I like the idea of web 2.0 and human 1.0 ie that a lot of social media behaviours are triggered by our social brains. I agree that if you want to understand what’s happening, you’re best of understanding the human 1.0 rather than the web 2.0 tools. Status – allows us to progress and be respected within a community, but it can be stultefying too. Hyper social organisations are those businesses which are being successful because of their use of social media. They think differently about their business, and are doing things differently too. These companies recognise that the human with all his (or her) socialness is coming back into business – as employees and everywhere else. They understand that hierarchies and legal employee processes are becoming increasingly less important, and that communities crossing these vertical lines based upon passion and social factors are becoming more important. These companies also change their business processes into social processes – things which are done by people because they want to, they have a passion for something etc. This way of working is about using human reciprocity and social contracts to get others to help you do your job. Just about every process (apart from Finance and Legal) is socialisable (or social mediafiedable!). One idea if you want to become a hyper-social organisation: don’t put a firewall between your people and your company eg by forbidding people to tweet- they’ll just do it on their iphones anyway. And anyway, two research studies have shown that people using social media are more, not less, productive. I go along with a lot of this, particularly the important of socialisation. That’s what this blog’s about, and also my next book. Eg: to think about human-centricity (as in human capital management), not company-centricity. Yes: companies need to become human before they can become social. And also: think knowledge network, not information channel. Yes: that’s a basic tenant of social media – it’s about the conversation not a communication. And to an extent: think emergent messiness, not hierarchical fixed processes. Partly: emergence is important, but there’s a lot of this you can plan as well (I’ve just been having a conversation about this in the comments to my last post about Enterprise 2.0 on Strategic HCM). What I don’t like so much, or why my own book is still going to be different to (and better! than) this one is that I don’t see, once again, why all this needs to be so linked to social media. Basically, it doesn’t. Social media has given us one more enabler to influence these social (human 1.0) factors, but these exist in all workplaces. 2.0’s largely an irrelevance to this. Also: I think we need to move away from descriptions of the environment. This is where so many books go wrong. There are just too many descriptions of ways that people in companies can think differently, and things that they can do. Too many to have much of an impact in my view. We need to switch the focus to outcomes – to what we’re really trying to achieve based upon our increasing understanding about the social workplace. And this isn’t to think tribe. Finding groups of people who have something in common based on their behaviour may be something we want to do, but only if it achieves something else. I still need to catch up on quite a few posts from the Enterprise 2.0 conference in Boston. I captured them live in draft but didn’t get time at or since the conference to publish. They will out before the end of the month! Of course, you will find commentaries on all the sessions elsewhere, but I hope you’ll value my additional insight built into the posts as well. And I thought I’d give you a summary of some of these insights, in terms of my major overall reflections on some of the key themes and debates at the conference. There seemed to be a significant split in attendees / perspectives between a focus on on culture, and a focus on technology. I’m not saying anyone thought culture was unimportant – that certainly wasn’t the case, but it’s about prioritisation. Some people clearly understood that culture (the way people work together, collaborate etc) is the most important element in e 2.0. At the other end of the scale, there was a view that we’ve reached the end of the ‘culture 2.0 crusade’. I believe this focus is important, and suggest it does need to be on culture. I’ve got another draft post on this which I’ll be posting here shortly as well. And I’m proposing to speak on this subject at the next e 2.0 conference in Santa Clara in November. A further issue was around the role of e 2.0 in bringing around changes. The prevailing train of thinking suggested that e 2.0 technologies need to be embedded in business processes, and what people do within their jobs. Ie that 2.0 adds value to existing processes to help them and the people performing them work effectively. Or maybe that 2.0 can create value, ie help people and organisations do new things by applying appropriate innovations faster than elsewhere (as a solution in search of a problem). To me, its people, and their relationships, that create value. 2.0 technologies play a role in helping them do this. And most of what people do happens on top of and around business processes. So if we want 2.0 to create value, to lead change, we need to extend its use beyond the workflow. We need to focus on peoples’ working-lives rather than just work-flows. The challenge in doing this is in getting people to do something that goes beyond their narrowly defined jobs. But this is where the benefit lies as well. Again, I aim to post on this in more detail. E 2.0 is not an IT conference, but there were certainly more CIOs and IT Directors than there were people from any other function. A couple of people and tweets commented on the lack of HR people. Actually, there were about 15 of us there. Not a huge number perhaps but the conference agenda is going to have to change to encourage more, eg less headache inducing product demos dressed up as keynotes, and just a broader agenda too – choosing between various social technologies that all do pretty much the same job isn’t to me what 2.0 needs to be about. But HR is increasingly interested in this. Or at least in the benefits 2.0 can provide. To me, it’s just that IT and HR aren’t talking to each other sufficiently. And we need HR to be part of the conversation. 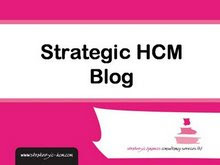 I try to wear a business rather than an HR had on this blog (my HR blog is Strategic HCM). But I can’t get away from the fact that if culture vs tools is what’s important, HR should really be the key owner and driver of 2.0 oriented (social) change. So I’ve got another proposal in for Santa Clara to help IT understand the ping points for HR, and develop a closer conversation between the two functions (and I’d like to do one focusing in reverse for the CIPD or SHRM). I felt there also seemed to be growing body of opinion that we all know and share a reasonably similar view about what e 2.0 needs to involve, how best to do it etc. We don’t (or at least I don’t – see above). I’d like to see the conference hang back from trying to focus on ‘the solution’ and encourage more diversity in thought (I’d have liked to have seen a few more rather more divergent thinkers like Stowe Boyd and Paula Thornton on the agenda too). Oh, and a diversity in case studies too. I’ve already posted on EMC, Cisco, CSC and IDEO and my draft folder includes posts on AXA, IBM, Microsoft, Sony, UBM and Vanguard. Notice any similarities? I’d like to see the conference help push interest and usage out beyond the IT sector, even if this means focusing more on current attempts vs successful case studies (actually, I think I’d prefer this anyway). However, I don’t think getting this diversity is likely. We all understand enough about ‘culture 2.0’ to know that people link with (and vote for) people like themselves. So I somehow can’t see myself presenting in Santa Clara!? This July, I’ll be continuing to catch up on the rest of my posts from the E 2.0 conference in Boston, and I’m sure there’ll be lots more posts besides.